The Police Benevolent Foundation and the Virginia Division Police Benevolent Association are rallying behind the family of fallen officer, Ashley Guindon, as well as wounded officers, Jesse Hempen and David McKeown. On Saturday, February 27, 2016 officers Hempen, McKeown and rookie officer, Guindon responded to the home of Army Staff Sergeant, Ronald Hamilton. Hamilton had just shot and killed his wife and proceeded to shoot at police as they arrived. All three officers were injured and Guindon died a few hours later from her injuries. Officers Hempen and McKeown are expected to survive, but remain hospitalized. These officers have proudly served the Prince William County community for a great number of years. Officer Jesse Hempen, 31, is an eight-year veteran of the force. He is married and has one child. Officer David McKeown, 33, is a ten-year veteran of the force. Rookie officer Ashley Guindon was working her first shift as an officer when she was shot and killed, but had a long history with the Prince William County Police Department. She interned in the forensics unit in 2011 before attending academy training in January 2015. While only an officer for a short time, Ashley served with a passion and will be greatly missed. Wounded officers Hempen and McKeown are expected to recover and will continue to serve their community with bravery and class. The Police Benevolent Foundation has established the “Prince William County Police Officer Memorial and Recovery Fund” to aid the family of Ashley Guindon and officers Hempen and McKeown during their time of need. 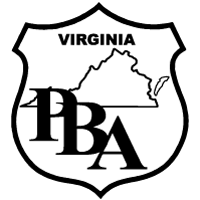 The PBF and VAPBA now ask for the help of the community, both locally and nationally, to aid in efforts to provide much needed support to these officers and their families in this time of distress. All funds donated will be divided evenly between the family of Officer Ashley Guindon and officers Hempen and McKeown. Thank you for your consideration.